The Alaskan Malamute Club of America is beginning recruitment of subjects for a research study on Alopecia/Follicular Arrest in Alaskan Malamutes. 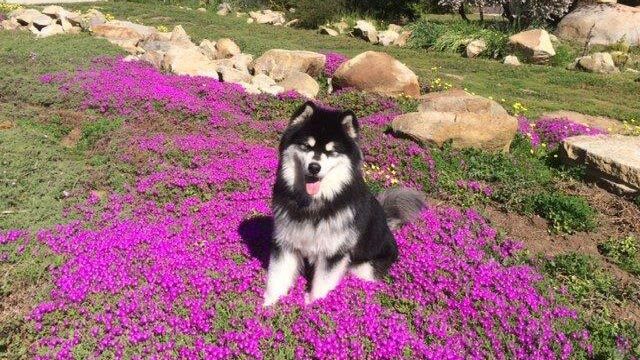 We will be working with Dr. Lluis Ferrer, clinical dermatologist at the Tufts Cummings School of Veterinary Medicine, and canine genetics researcher Dr. Tosso Leeb at the Institute of Genetics, University of Bern, in developing a research study examining potential genetic links with alopecia/follicular arrest in the Alaskan Malamute. It is important to understand that hair loss can have many causes, including non-genetic issues. These can include infections, parasites and several other diseases (i.e. allergic, autoimmune, endocrine). We encourage any owner or breeder of a dog affected with coat issues to consult with a certified veterinary dermatologist and undergo recommended testing. 2) Have adult onset of alopecia. (Must have developed a normal coat as a puppy which stopped cycling during adulthood, leading to symmetrical coat breakage and exposed/black skin). Skin biopsy (If previously done, Dr. Ferrer will need to review these slides, which should be on file at the histopathology lab the biopsy slides were originally read at). Provide to researchers the pedigree of the affected animal. Rescue dogs without pedigree who are clearly purebred Alaskan Malamutes will be accepted in the study. PLEASE NOTE: While the current focus of this study is on classic alopecia/follicular arrest as has been seen in the breed over the past few decades, we are also interested in accumulating information, background, and samples (including skin biopsy) on dogs with symptoms that are not consistent with alopecia, but represent clear skin and coat issues which are not explained by physical examination or any of the above diagnostic testing. These include follicular dysplasia (similar to follicular arrest, only occurring in young puppies who never develop an adult coat), partial haircoat change, and early (non-aging) hair color change. This may give us an idea as to the range and frequency of coat and skin issues in the breed and allow us to reach a better understanding of these conditions, as well as develop a pool of participants and samples for future coat/skin projects. Download a PDF version of the above announcement HERE.